-This story has been clarified. See final paragraph. 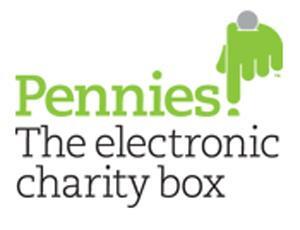 The Pennies Foundation, which asks customers to donate to charity by rounding up the amount they spend to the nearest pound, will in future charge charities to use its service. Speaking in a session about digital fundraising at the Institute of Fundraising National Convention yesterday, Hilary McVitty, the charity’s head of marketing, communications and charities, said it had received start-up funding from philanthropists and foundations that enabled it to avoid charging a commission. But she said that for its "long-term sustainability" the charity would have to take a percentage of the money donated. "When that happens, we will communicate with our charity partners about it," she said. McVitty did not say how much charities would be charged, or when this was likely to happen. She said Pennies had raised about £130,000 so far and was giving the money to 18 charities. The charity has partnerships with companies including Domino’s Pizza, the hotel group Travelodge and the restaurant chain Zizzi, which ask customers paying electronically to round up their bills. McVitty said that if every credit and debit card user in Britain gave a penny a day to charity, it would raise £150m a year. "That’s a prize worth shooting for," she said. - The planned deduction from donations to finance the service will result in slightly less money going to charities, but should not be described as 'charging charities', as in the first and fourth paragraphs.